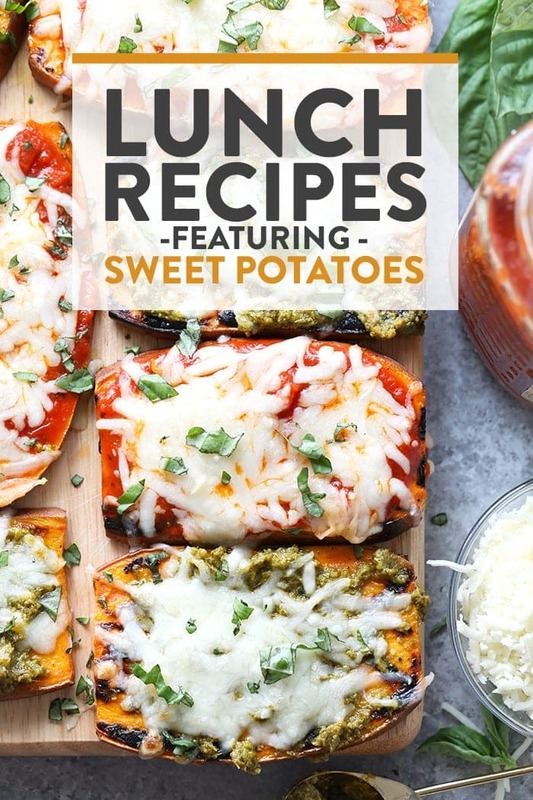 Sweet potatoes for every meal of the day (+ snacks and dessert!)! 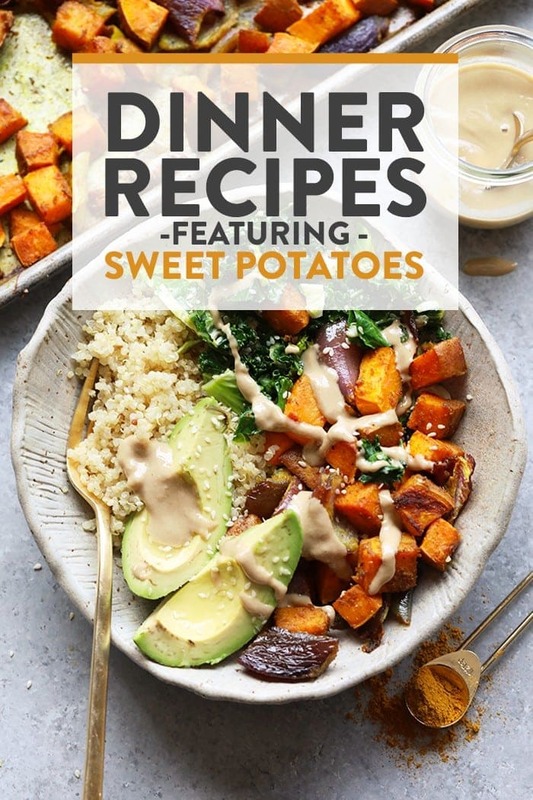 We rounded up 50 of our favorite healthy sweet potato recipes from Fit Foodie Finds (+ from some of our friends) and put them all right here for you. 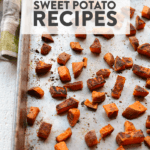 Get all the benefits and flavor of sweet potatoes with these delicious sweet potato recipes for breakfast, lunch, dinner, snacks, and dessert! We’re all about going back to the basics here at Fit Foodie Finds, which is why we have 2 super simple tutorials on 1. how to roast sweet potatoes so that you can make all of your favorite roasted sweet potato recipes as well as 2. how to make sweet potato puree. Sweet potato puree is great for baking and other fun sweet potato recipes! There is a really good chance you’re going to need to slice your sweet potatoes in some way, shape, or form. We HIGHLY suggest picking up a ceramic knife because they cut through sweet potatoes and other hard vegetables like butter…no joke! We LOVE this set by Chef’s Foundry. It’s only $69 for 3 different sizes of ceramic knives! In 1 cup of cubed sweet potatoes, there is about 114 calories. Sweet potatoes are a healthy root vegetable that have an amazing nutrition profile. Per 1 cup of cubed sweet potatoes: 114 calories, .1g fat, 27g protein, 27g carbs, 4g fiber, 6g sugar, 2.1g protein. What’s the difference between a sweet potato and a yam? GREAT QUESTION. Sweet potatoes and yams are essentially the same thing! Actually, yams are a type of sweet potato. Crazy, right? In 1 cup of cubed sweet potatoes, there is about 27g of carbs. Sweet potatoes are high in fiber. Now onto 50 of our favorite healthy sweet potato recipes for breakfast, lunch, dinner, snacks AND desserts! What are some of your go-to recipes with sweet potatoes? Share ’em with us in the comments! 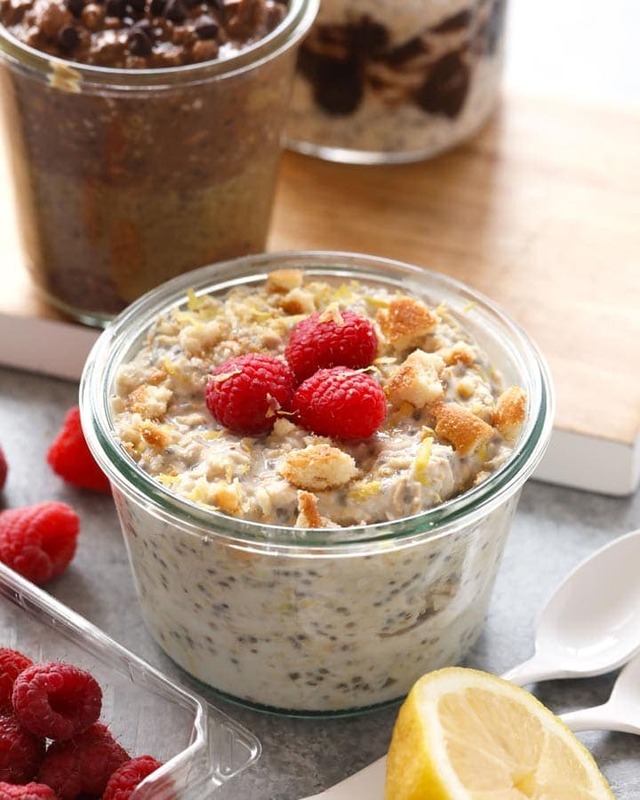 Can you really use sweet potatoes in savory AND sweet breakfast recipes?! The answer is YES, my friends. 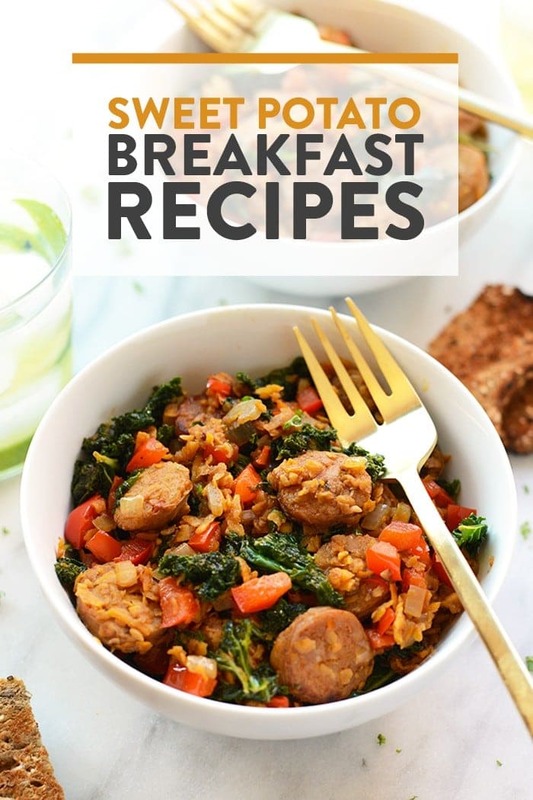 From waffles to omelettes to burritos, these sweet potato breakfast recipes will help you start your day off with a protein and veggie-packed breakfast. You know we’re all about meal prep recipes at Fit Foodie Finds, and these recipes are perfect for lunches on the go. Not only do sweet potatoes keep well in the fridge, you can easily warm them up without losing texture. 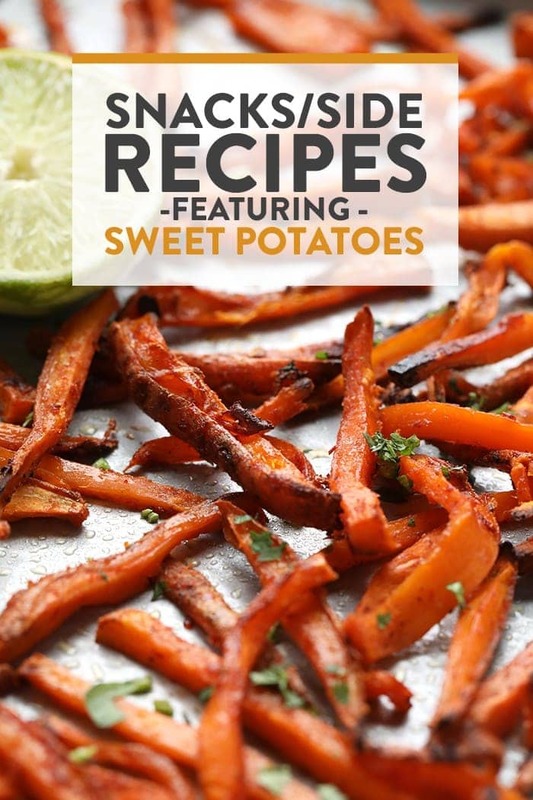 It’s dinner time and these healthy sweet potato recipes for dinner are calling your name! Whether you’re serving a crowd, or just cooking a quiet weekday dinner, these recipes pack protein, veggies and all the good flavor. We couldn’t leave you hanging without any yummy sweet potato snacks and sides! These recipes are great as appetizers for your next get-together, or simply served as a side of your main dish. All my sweet tooth people out there! 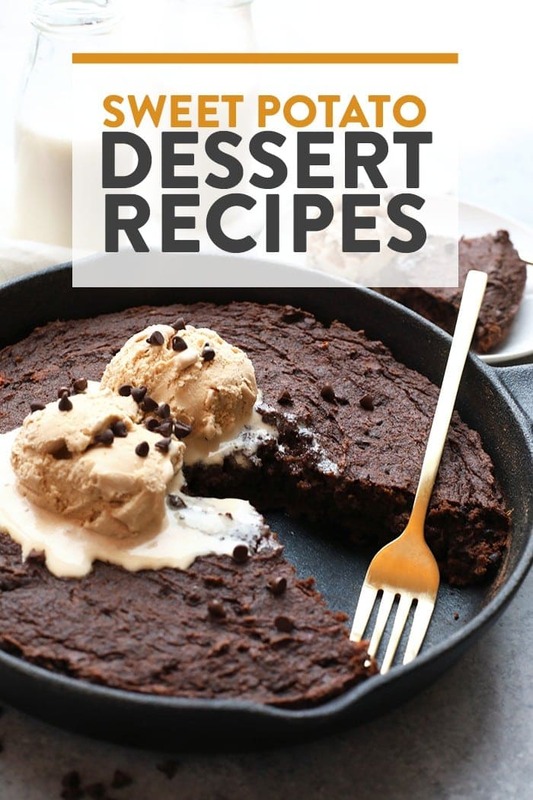 These desserts are DELICIOUS. Sweet potatoes add such great texture to baked treats without overpowering on flavor. 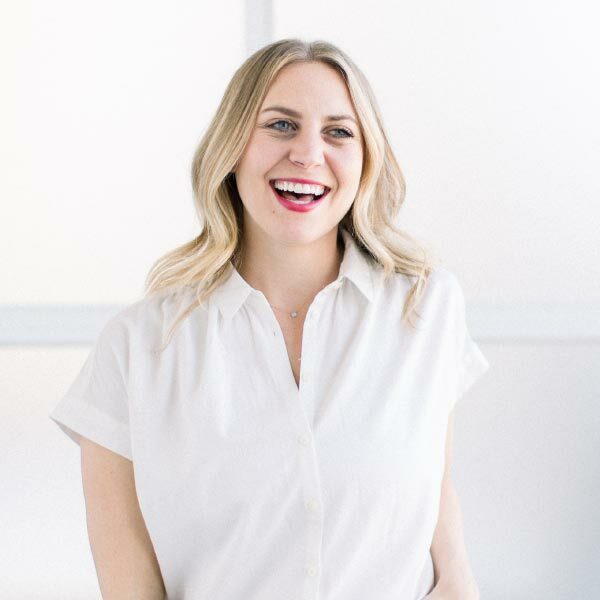 Our ladies at The Healthy Maven, Little Bits Of, Ambitious Kitchen, Minimalist Baker and Heartbeet Kitchen do not mess around when it comes to desserts, so their sweet potato dessert recipes come highly recommended as well.